Dr. Charles Kenneth “Ken” Koster passed into peaceful rest on the afternoon of September 19th, 2018. Dr. Ken Koster, a native of Cleveland, OH, is a graduate of John Carroll University. He obtained his medical degree from St. Louis University in St. Louis, MO. His internship was spent at Fitzsimons Army Hospital in Denver, CO, and his residency at the hospital of the University of Pennsylvania in Philadelphia. His military history includes service at Forbes Air Force Base Hospital and the USAF Hospital in Keesler, Mississippi, where he was Chief of Ophthalmological Services. Dr. Koster was privileged to serve his country with the rank of Captain, USAF, MC. 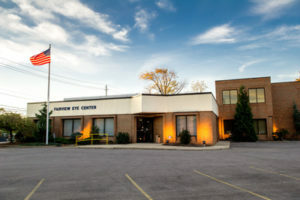 Dr. Koster established his own distinguished ophthalmological practice in Lakewood, Ohio and later in 1993 merged with Fairview Eye Center, continuing his longtime service to the residents of Cleveland’s west side. His specialty was cataracts and general ophthalmology. Very active in Cleveland’s medical community, he has held numerous positions on the boards of various hospitals including Lakewood Hospital, Fairview Hospital, St. John West Shore Hospital, and Metro General Hospital. Dr. Koster also served in a teaching capacity at Metro Hospital and Case Western Reserve University and has served on the boards of area medical organizations in which he held membership, such as Cleveland Ophthalmological Society, Cleveland Academy of Medicine, and Cleveland Sight Center, among others. Dr. Koster retired in 2008 and resides in the Cleveland area.